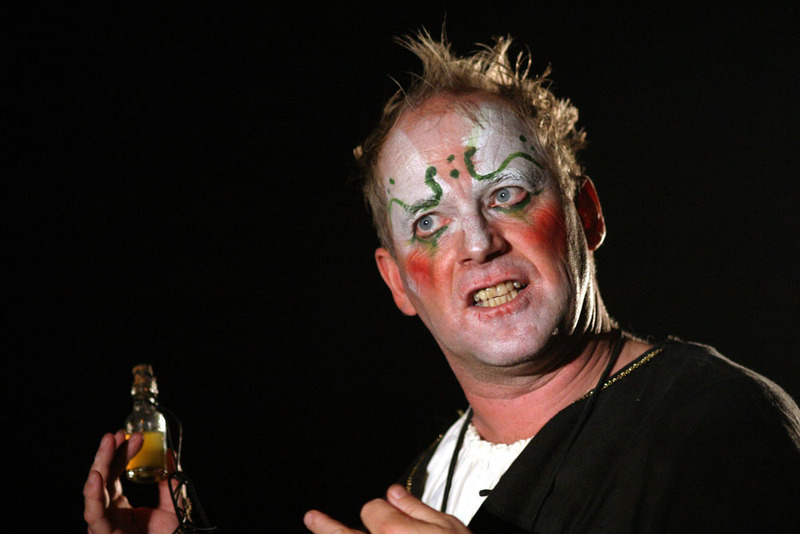 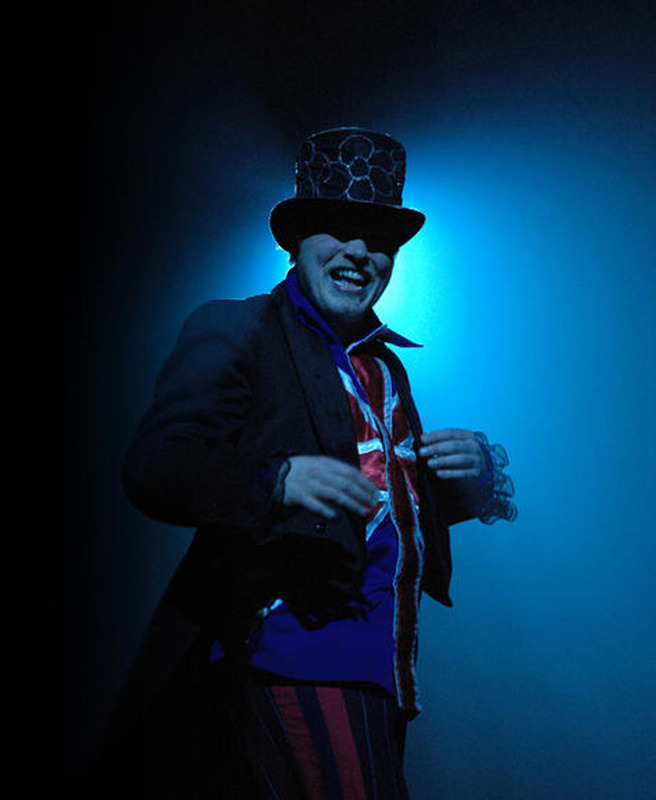 Actor, director, and former gymnast Gisli Örn Gardarsson made his directorial debut for Vesturport in 2002 with this circus-inspired, award-winning production of Shakespeare’s Romeo and Juliet. 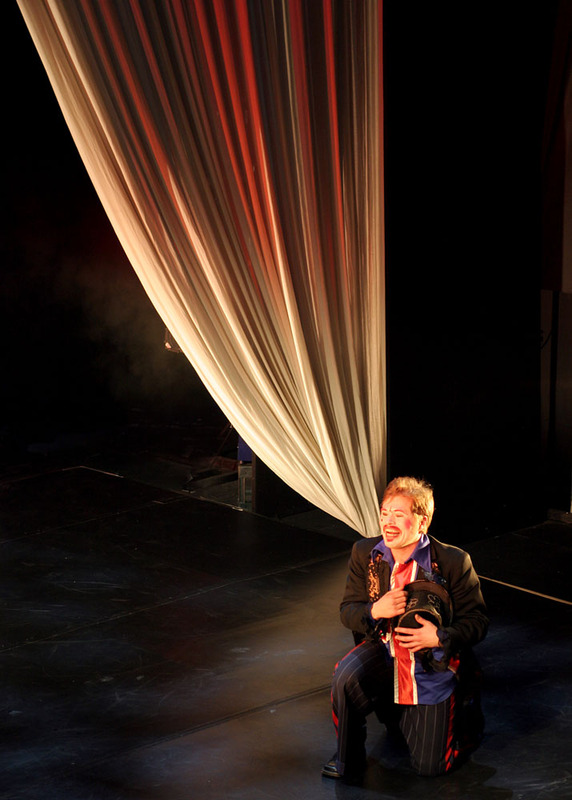 The goal was to create a production, which would introduce theatre in a fun and an interesting way to the general public who often perceives theatre as a dull and stagnated art form. 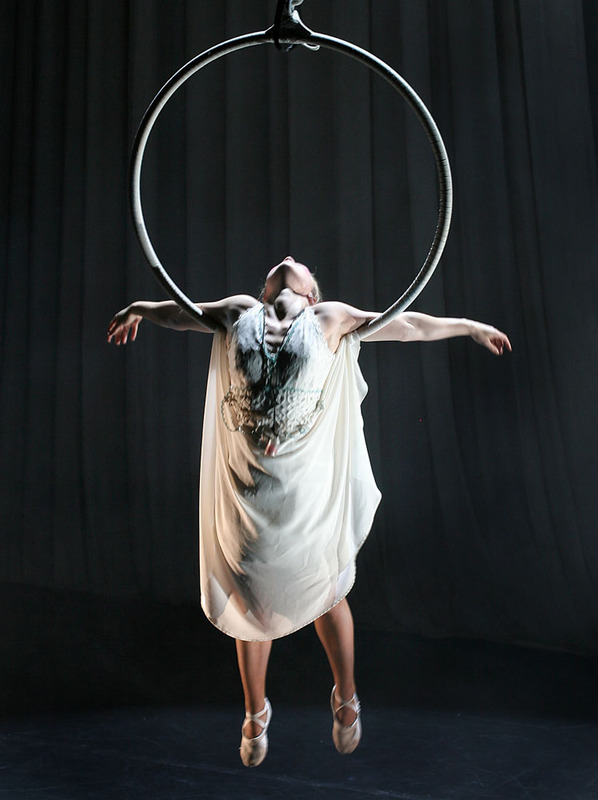 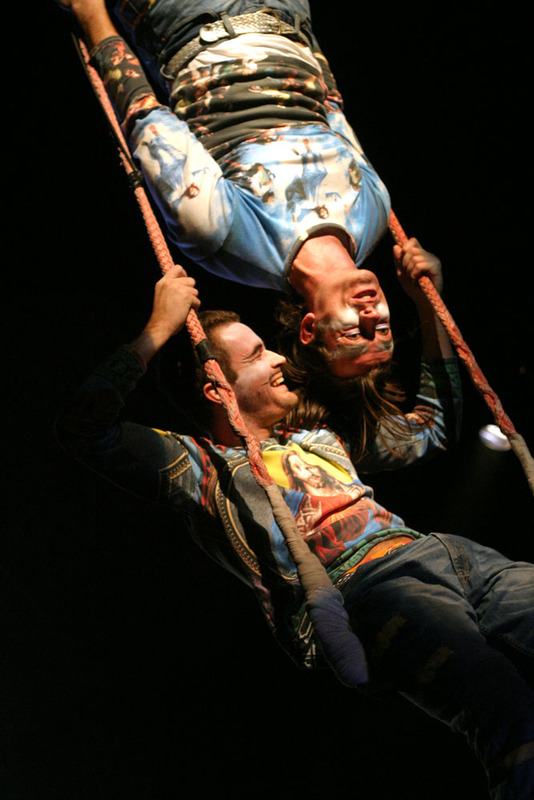 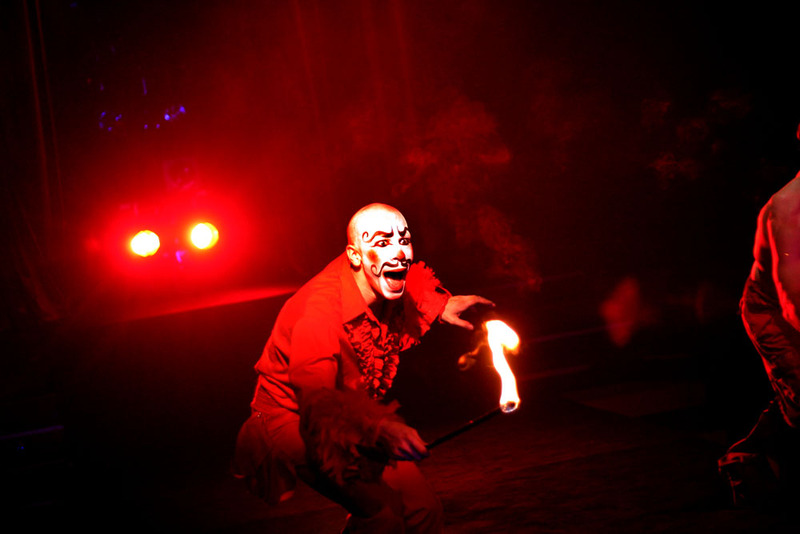 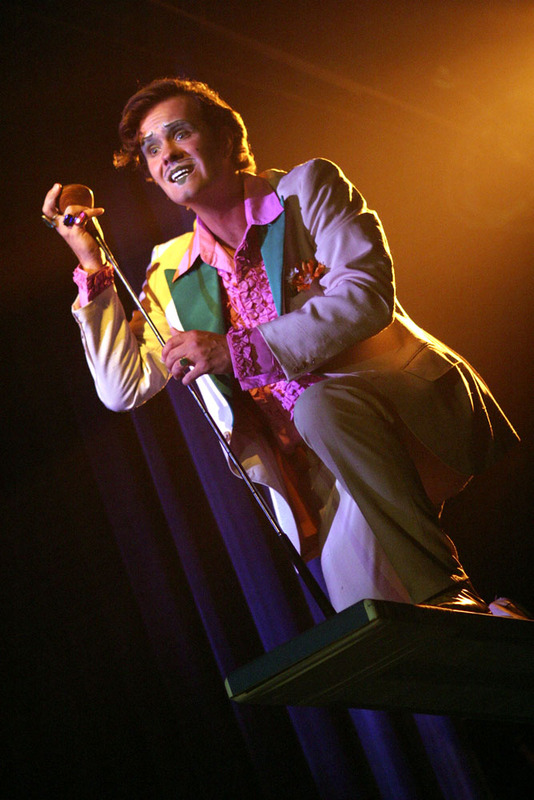 The production is a circus-orientated version of Shakespeare’s classic using acrobatic, aerobatic and clown-esque techniques, all without losing the tragic fundaments of the play. 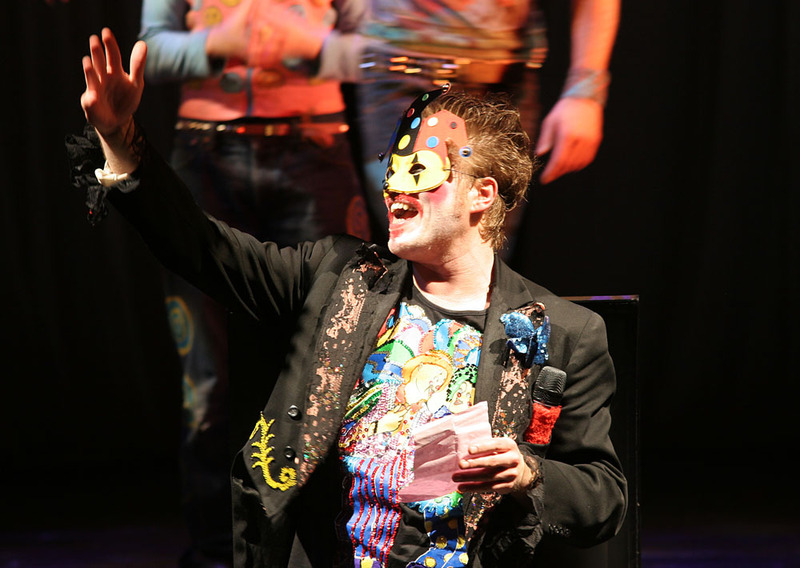 Shakespeare’s original text is performed, although there is freedom of interaction with the audience, creating an improvisational dialog. 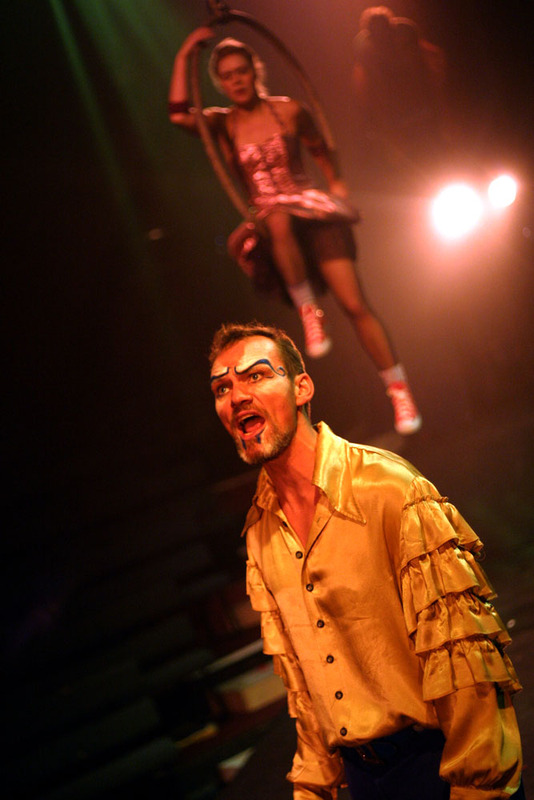 The play is furthermore filled with music and contemporary love songs, giving it a Moulin Rouge inspired atmosphere. 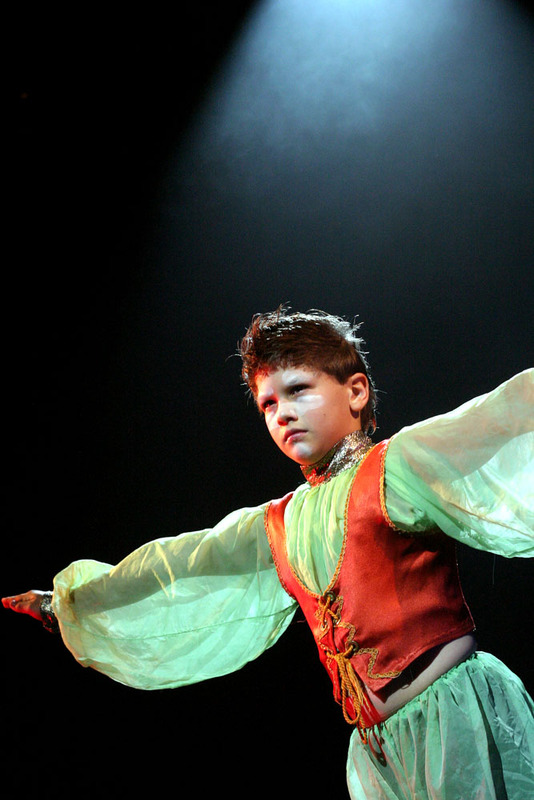 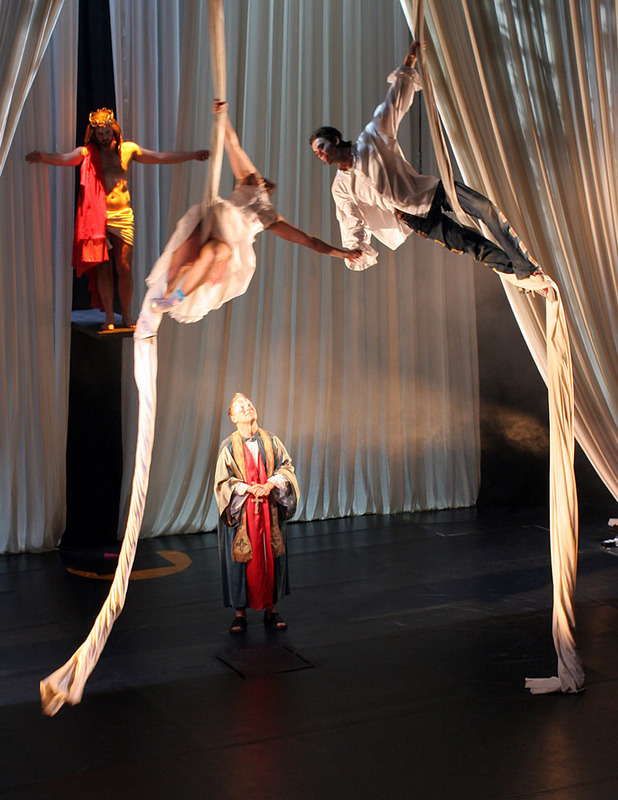 The use of circus skills in the production emphasizes the dramatic tension of Romeo and Juliet and brings to focus the living organic qualities of the dramatic structure. 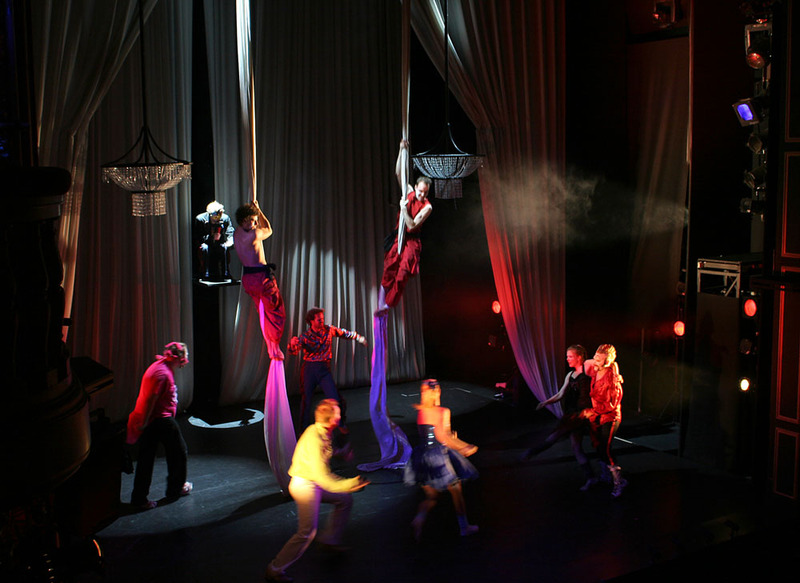 Romeo & Juliet – Love is in the air originally premiered at the Reykjavik City Theatre and was an instant hit in Iceland amongst the audience as well as the critics. 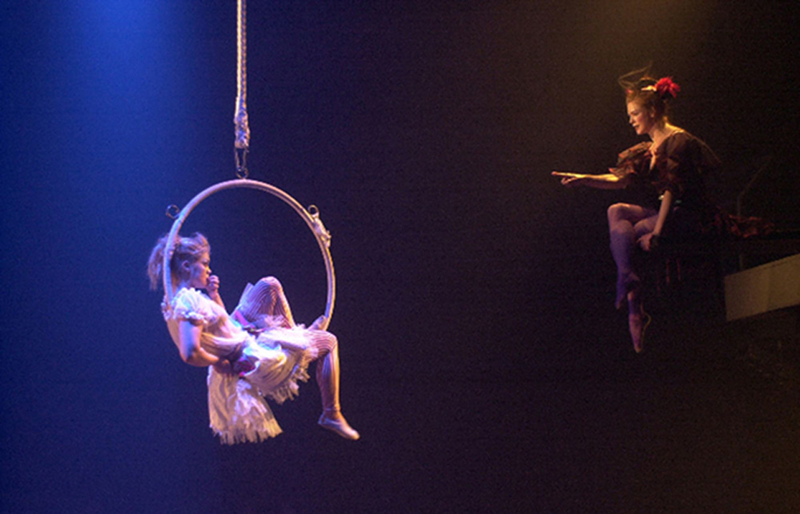 The production received two prestigious awards at the Icelandic Theatre Awards. 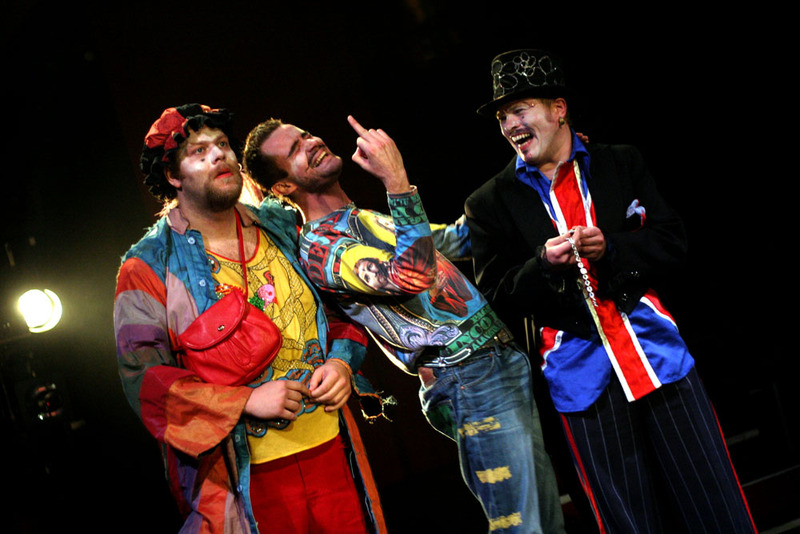 One year later Vesturport arrived in London. 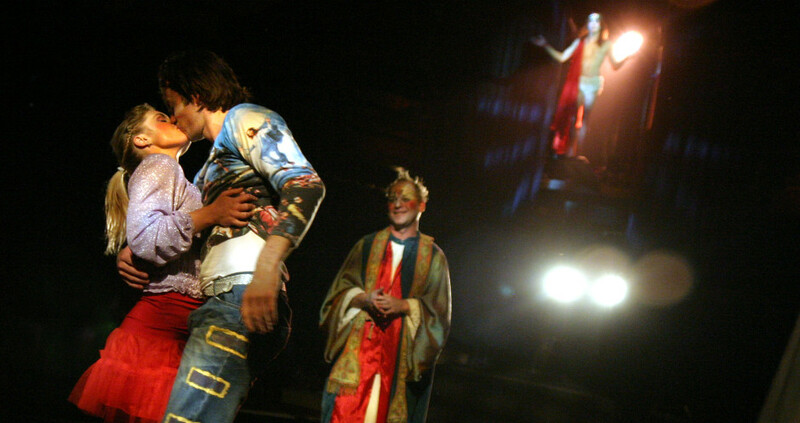 Romeo & Juliet – Love is in the Air opened at the Young Vic Theatre on October 1, 2003 and was an outstanding success at the box office being sold out from the beginning to the end of its six weeks limited run. 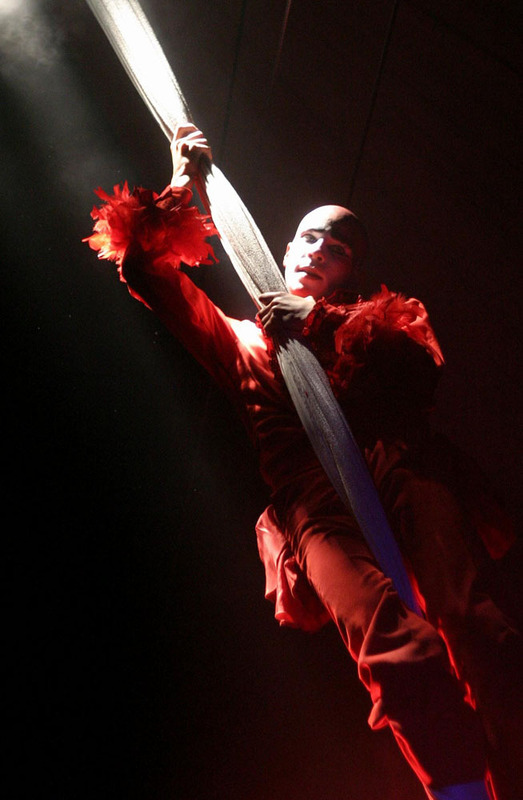 The production received great reviews in the English press where it was hailed as one of the most exciting theatrical events for years. 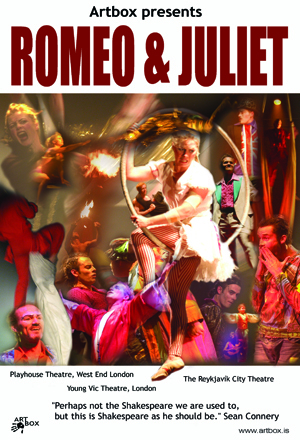 Romeo & Juliet also succeeded to introduce theatre to children and adults alike who in some instances came to see the show up to four times. 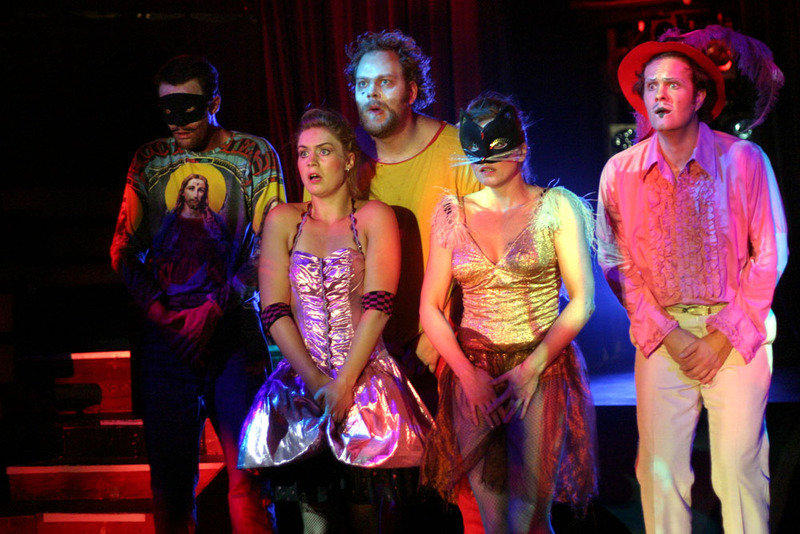 Straight after the Young Vic opening of Romeo & Juliet, outside producers spotted the commercial potential of the production. 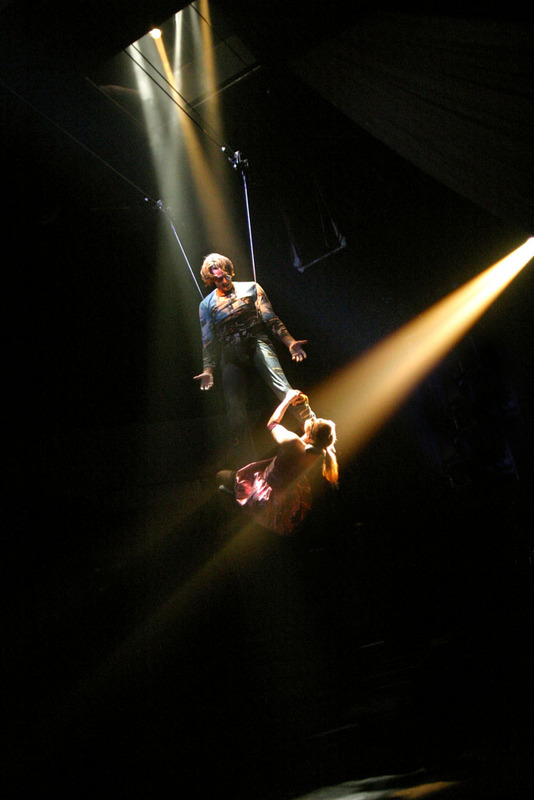 The production was transferred to the West End Theatre, Playhouse, where it opened on the 12th of November 2004. 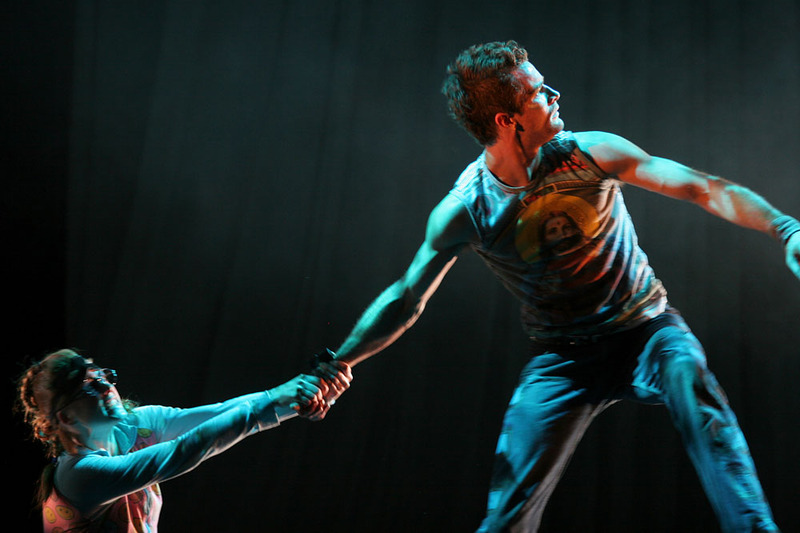 Again the production received great reviews and was “pick of the week” in most newspapers during it’s two month run. 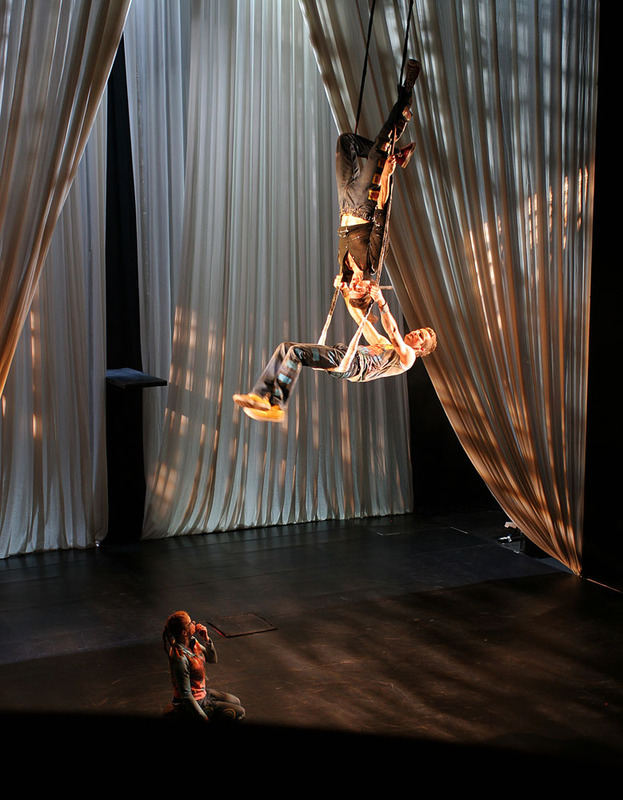 Since London, Romeo and Juliet, has been performed in Germany (Recklinghausen), Poland (Gdansk), Norway (Stavanger) and Finland (Tampere).